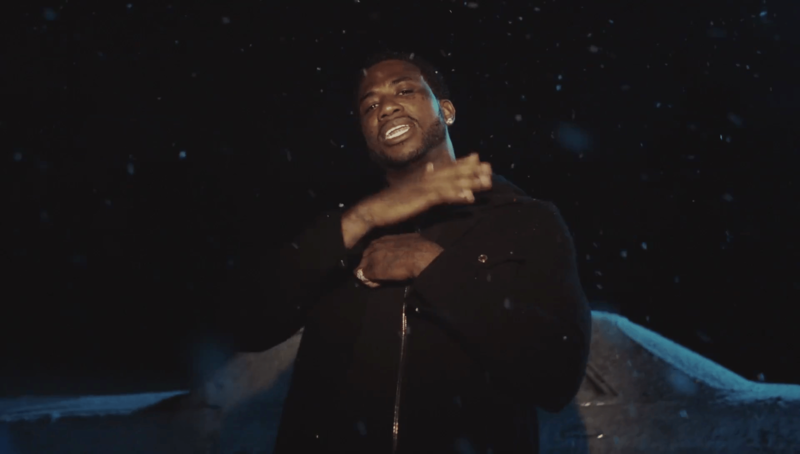 VIDEO: Gucci Mane feat. Travis Scott - "Last Time"
The biggest takeaway from Gucci Mane‘s new music video for the Travis Scott featured “Last Time” isn’t necessarily that it’s snowing or that there’s a floating car on fire (or even the appearance of a wolf). But that it’s directed by none other that Harmony Korine, writer of the movie Kids, and director of movies like Gummo and Spring Breakers (A movie that Gucci Mane also had a part in). I originally expected something like Rihanna’s “Needed Me”, also directed by Harmony Korine, the video features simpler concept that still works for the song.